A brilliant and comfortable 3-0 win for Numancia against Nàstic de Tarragona in a game in which in the second half the Sorianos were able to reap the rewards for all the hard work they put in in the first 45, which they totally dominated but without managing to get past Becerra in the visiting goal. After the break, López Garai’s men kept up the momentum from the first half and finally got their recompense, eventually chalking up the clearest win of the season so far. Nàstic started the game looking the stronger team and dominated the first ten minutes of play. They were, though, unable to create anything dangerous and, little by little, Numancia overcame their initial nervousness and began to gain control of possession, first, and play next. From then on, the hosts monopolised the ball and launched attack after attack on their guests’ area. Nacho and Yeboah’s speed down the wings meant Numancia were basically able to set up camp in the visitors’ half while Higinio engaged himself in a war of attrition with the Nàstic central defenders. The danger the Catalan side were able to create came in the form of two counterattacks. The first came from a lost ball they latched on to and the second ended in a centre that hit the crossbar. Both moves were the work of Manu Barreiro, who spearheaded Nàstic’s attack alongside Uche, although the clearest chance of all fell to Brugué, whose headed attempt just before the break went wide by only a little. Numancia thumped and thumped on their opponents’ gate, but it was in vain during the first half. It was a shame, but not one of the several attacking moves the Rojillos made ended in a goal. Yeboah tried his luck from long range, then Higinio and after that Nacho, but none of them with the necessary accuracy. There were also many crosses sent in from the goal line, but there was nobody there to finish. After the break, Numancia carried on in the same vein, confident that their dominance would eventually bear fruit. And it did. A good move down the right wing led to the first goal of the game. Nacho and Unai Medina combined well to reach the visitors’ area and the captain crossed for Higinio to connect with a good header and open the scoring. It was the 56th minute and the Sorianos had now broken down the Tarragoneses’ resistance. Just a few minutes later, the visitors would practically throw the game away when Albentosa turned a stinging centre from Marc Mateu into his own net. There was still half an hour to go, but Numancia’s persistence had finally paid off. The 2-0 scoreline gave López Garai’s side added swagger while it knocked the stuffing out of the visitors. In another good attacking move, the Numantinos found the goal that would finally kill off the game. Nacho, inside the area, struck in a vicious volley that Becerra had no chance of stopping, and it was game over in minute 76. The final minutes were merely an academic exercise, in which the hosts looked to add a fourth strike on the break while the defence sought determinedly to keep a clean sheet which would give the team the confidence to grow and improve. 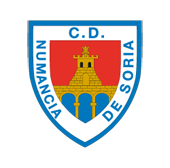 CD Numancia: Juan Carlos, Escassi, Higinio (Jordi Sánchez, m. 78), Nacho (Borja Viguera, m. 84), Yeboah, Carlos Gutiérrez, Medina, Atienza, Marc Mateu, Fran Villalba and Diamanka (Noguera, m. 81). Nástic de Tarragona: Becerra, Uche (L. Suárez, m. 63), Albentosa, Manu Barreiro, Imanol, Javi Márquez (Manu, m. 69), D. Rocha, Abraham (Javi Jiménez, m. 77), Djetei, Brugué and Salva. Referee: Ais Reig (Valencian Committee). Assisted by Saenen Álvarez and Campo Hernández. Yellow cards for Imanol and D. Rocha, Nàstic de Tarragona. Goals: 1-0. Minute 56.Higinio. 2-0. Minute 62. Albentosa, own goal. 3-0. Minute 76. Nacho.